Prince Felipe celebrated justice and the judicial profession in Spain one day after a judge named his sister as a suspect in a corruption probe. Prince Felipe made remarks celebrating judicial “independence, impartiality and respect for laws” during a ceremony welcoming new judges in Barcelona today. 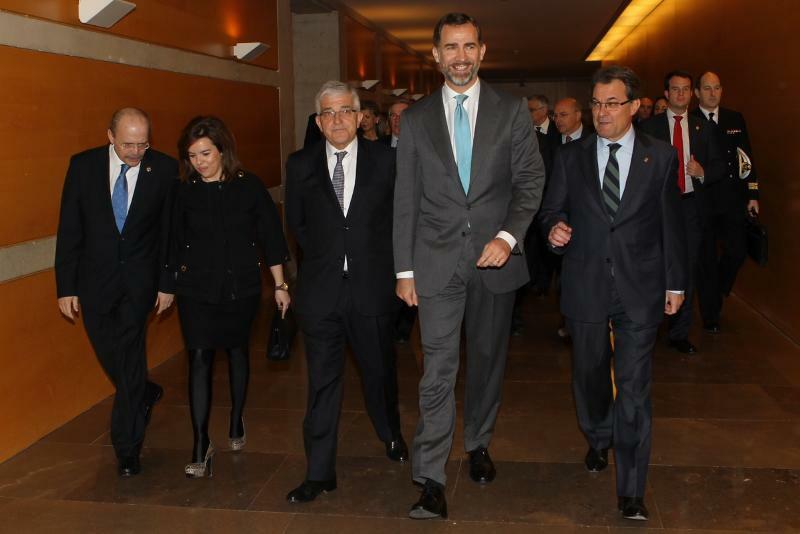 Prince Felipe with Catalan President Artur Mas to his left and Spanish Government Vice President Soraya Sáenz de Santamaría to his right. Prosecutors are appealing the judges decision to subpoena Infanta Cristina in the case involving her husband. 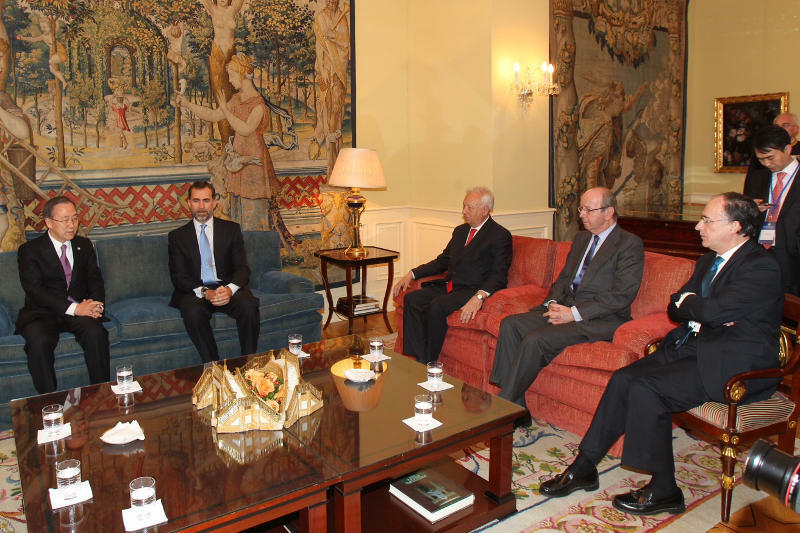 Prince Felipe today also met with United Nations Secretary General Ban Ki-moon at El Pardo Palace outside Madrid.